A sales plan is a document used to establish sales objectives and develop strategies necessary to achieve them. Typically, this document establishes a plan for revenue growth and other measurements of success. Sales plans consist of sections outlining goals, identifying key customer attributes, and listing necessary strategies, tools, metrics, and estimated expenses. A sales plan works best when it’s performance is regularly reviewed. Once you have completed your sales plan, you can use a CRM like Pipedrive to measure sales performance and review your progress towards your plan goals. Pipedrive helps sales teams work on sales processes, manage their business pipeline, and monitor deals. Click here to start a free 14-day trial. Sales plans do not have to be complicated documents. However, they do require that you take time to think through several aspects of your business. To help, we’ve created a free downloadable sales plan template, broken out into seven standard sections. 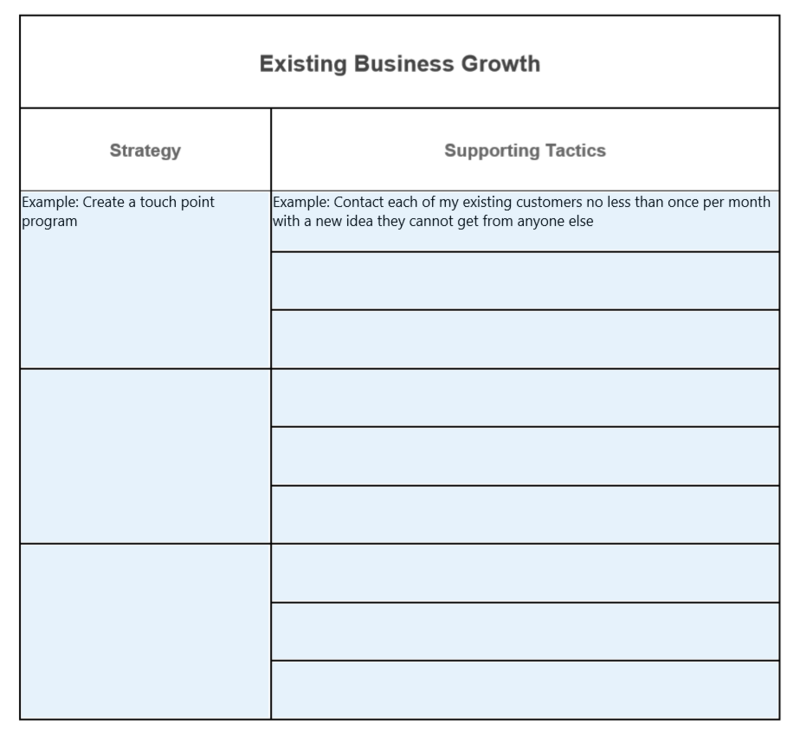 Use this sales plan template as well as the information below to create your own unique plan, based on the needs of your business. 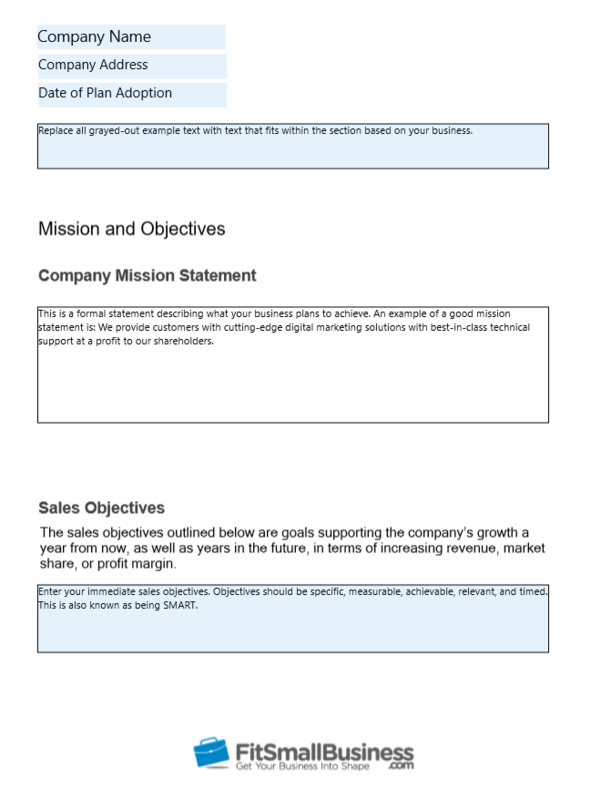 This section will include both a restatement of your company’s mission (or vision) statement as well as your sales plan’s objectives in terms of growth. This section will serve as the foundation of your sales plan and is therefore critically important to your plan’s success. A mission statement should be the framework for all strategic planning. For more help, we have written an article detailing Vision Statement Examples. Sales objectives are goals supporting the company’s growth a year from now, as well as years in the future, in terms of revenue, market share, or profit margin. By establishing these goals, you are explaining what success will look like in the clearest terms while also giving your team targets to rally around. When a goal is specific and measurable, it is more likely to be achieved. This is because the objective becomes crystal clear not only to the person responsible for achieving it, but also to the person whose role it is to make sure that things get done. Start by creating one to three SMART objectives for the plan’s first year. What is it you hope to achieve in terms of growth a year from now? Once you have stated your objective, describe how the objective will be measured as well as how often you intend to audit the objective’s progress. Repeat this step the plan’s third year as well as its fifth. The difference between each of these time periods is only the size of the goal. Each objective should be written in clear language and support the company’s growth. 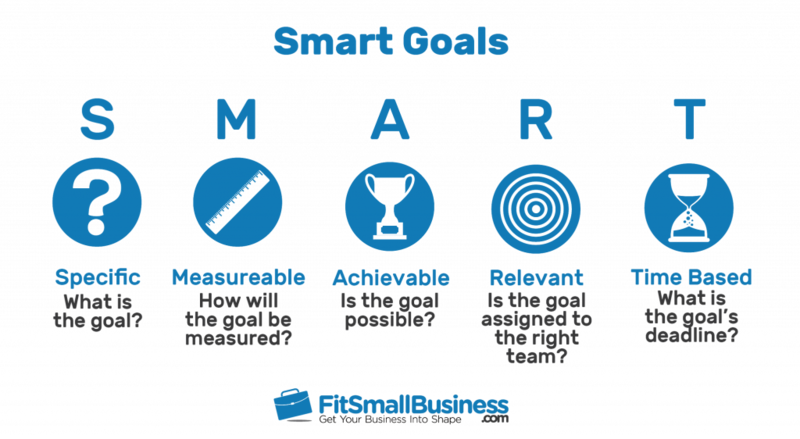 You can read our article featuring Examples of SMART Goals for Small Business for more ideas. In this section, you want to clearly describe the key characteristics of your ideal customer. There are three things to consider in this section, which include building a profile of your ideal customer, describing their expected buying patterns or creditworthiness, and defining your anticipated sales territory. This will be used to identify prospects and prioritize sales efforts. A customer profile is a generalized description of your ideal customer. 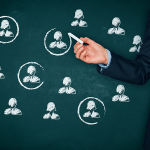 In this section, summarize the attributes of customers that you are targeting. This includes demographics, which not only describe a population in terms of location, age, and gender, but should also include psychographics, or the things that might influence their attitudes, aspirations, or other behavior like interests and lifestyle. You may have more than one ideal customer profile if you have a high mix of products or services. For more information, we have an article on How to Create a Customer Profile, which includes additional templates and examples for your reference. The specific attributes to include in your ideal customer profile will depend on your sales model. For example, if you’re using a B2C sales model, your ideal customer profile will include attributes such as gender, age, family life, homeownership status, income, education, interests, and available sales channels. Conversely, to describe your ideal customer in a B2B sales model, you should include information such as relevant job titles, key responsibilities, memberships and clubs, and communication channels used. Take a look at the screenshot below for an example of how your customer profile might look for B2B sales. Thinking about your ideal customer organization is only relevant to B2B sales, and this step can be skipped if that’s not your business model. In this section of the sales plan template, you will describe the type of organization you are targeting. This is the organization where your ideal customer works or is the customer itself. Typical criteria include company size by annual revenue, company size by number of employees, and relevant Industries. Finally, for both B2B and B2C businesses, define where you expect to find your ideal customer. This should be a simple and concise description of the geographic region that you are going to operate within, and note any exceptions. It may be that you also want to define a list of named accounts to each salesperson or focus them on a specific market niche. 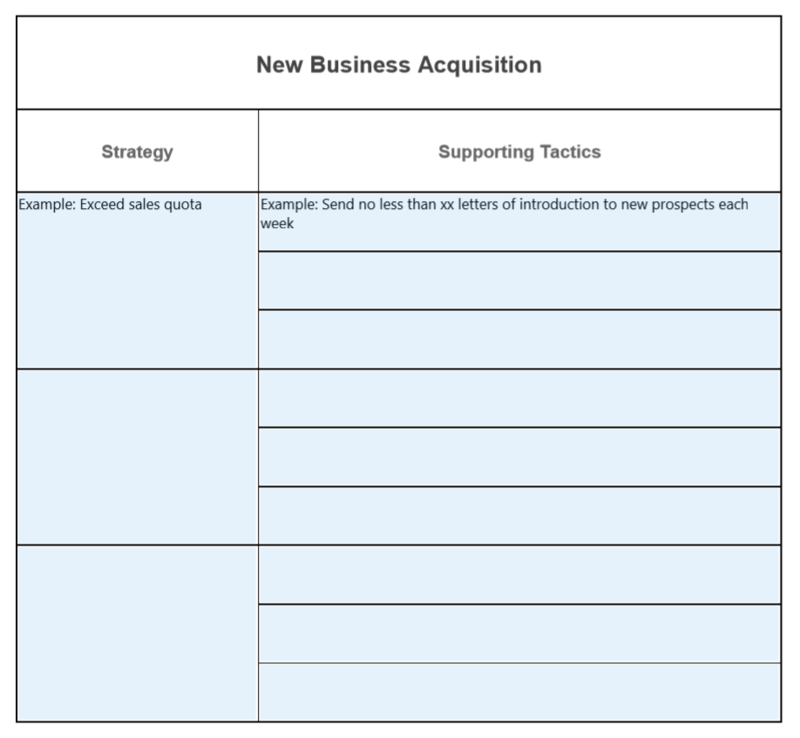 This section of your sales plan template is where you define the longer-term strategies and day-to-day tactics that you’ll use to acquire new business opportunities as well as grow business with existing customers. These are the tasks your team will use to execute your sales plan and acquire or grow ideal customers outlined in the step above. All strategies and tactics outlined in this section should support your organization’s sales objectives. Once you have established your strategies and tactics, it is also a good idea to create a dashboard that displays progress against your plan at a glance. Pipedrive gives teams the ability to create custom dashboards that combine company-wide and individual performance statistics in a centralized location that is accessible to all. It includes live data, eliminating the need for manual score cards or progress reports. Try its dashboard for free with your 14-day trial. In addition to offering revenue growth potential, new business acquisition strategies help reduce risk by minimizing your reliance on a single account. 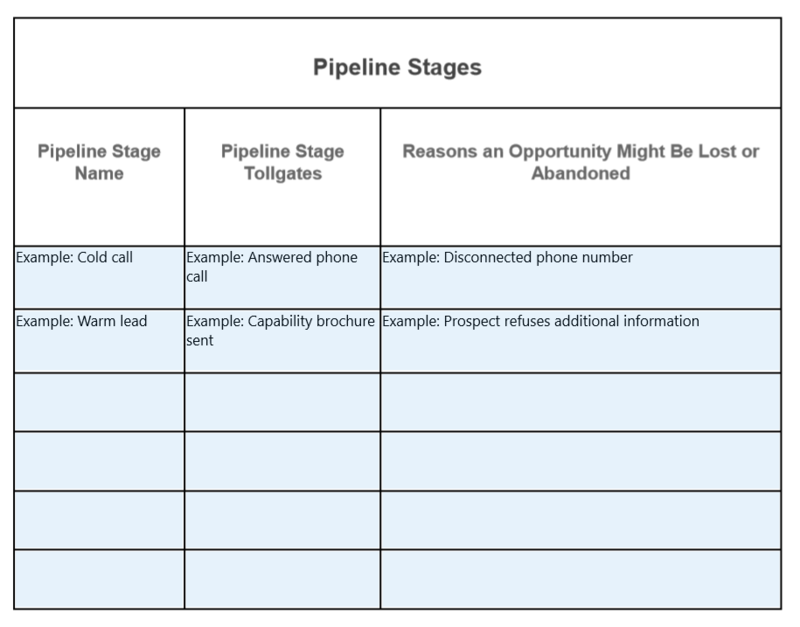 In your sales plan template, list strategies for adding new customer or prospect information that fit your ideal customer profile to your sales pipeline. Then identify at least two tasks that will be performed by members of the sales team on a daily or weekly basis in support of each strategy. Your numbers need to stretch the team to maximize their potential, but at the same time, they also need to be realistic. What’s important here is that you calculate exactly how many contacts you’ll need to make in order to achieve your sales revenue objective. If you have a sales team, then you will want to understand what sales quota each salesperson can realistically achieve. List strategies for gaining incremental revenue within existing business accounts. These are the strategies you will use to capture high-margin, add-on business from your existing customer or client base, or gain access to additional sales channels within the organization. Then identify at least two tasks that will be performed by members of the sales team on a daily or weekly basis in support of each strategy. Use this section to summarize the systems and tools that will be used to support the successful implementation of your sales plan. This will ensure your sales process is managed and activities are performed using the best methods. For example, your plan should define which reports will be used for progress reviews as well as where they will be stored. Your plan should also include tools you intend to use to organize and manage your contacts, such as a CRM as well as the tools you intend to use to communicate with them. While your sales plan does not have to include a full-featured CRM, contact management software helps to streamline the sales process by keeping relevant information about contacts such as title, relationship details, and call notes in a single place. Pipedrive CRM does all that as well as opportunity management, and can be accessed via a mobile device. Visit Pipedrive for more details. Once you have decided upon your sales objectives, you need to work out how to measure your progress against achieving each of these. This will allow you to monitor the health of your plan. You do this by establishing a sales process, defining the critical steps in each stage, and then describe success in terms of conversion rates and resource time or process flow. You can read more about how you can use your sales plan metrics in our article on Sales Leadership. Break your sales process into steps and give each step a name. The name you choose can be as formal or as informal as you wish. For example, a team I worked with once referred to the stage just before an opportunity was awarded as “The Red Zone.” By giving each step a name, you create a common language that helps communicate the level of development a lead is at in your process at a glance. Define the events, or triggers, that must occur to move a lead from one state into the next, as well as reasons an opportunity might be lost. Examples of this could include meeting with a customer face-to-face, presenting a quote, or receiving a letter of intent. Next, you will need to define success metrics and what you would consider a successful conversion rate for each stage. 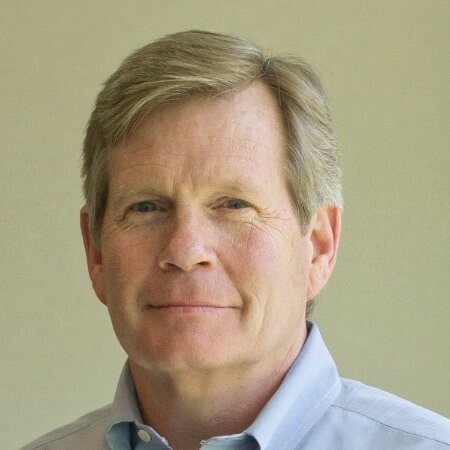 To learn more about the metrics you require to support your plan, I recommend reading our article detailing tips for measuring Pipeline Performance. Process flow is the length of time a lead stays in each stage of your sales process. Define the maximum length of time each step should take in order to still be considered successful or net a positive return on investment. By defining this metric, you will be better able to measure individual performance and ensure that your team is not continuing to pursue opportunities that are costing more in terms of follow-up than can be gained through revenue. 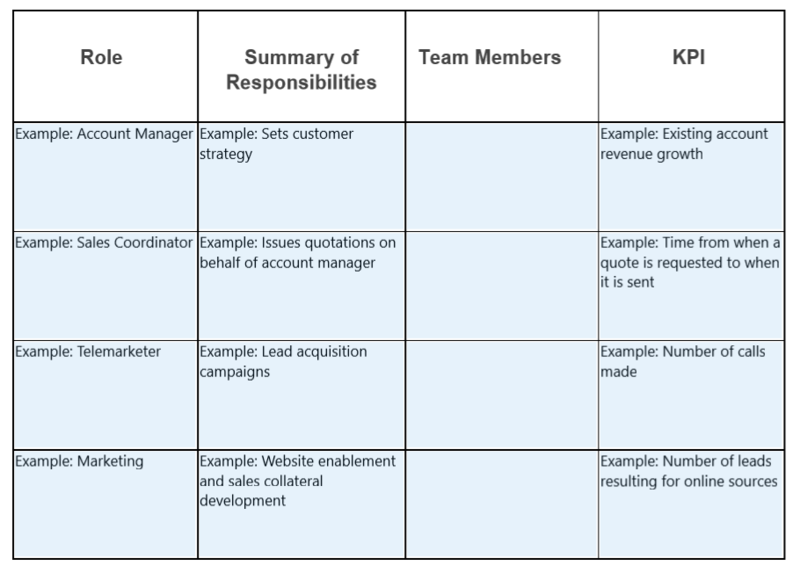 In this sales plan section, list the roles of your sales team as well as any separate marketing and/or agency support. 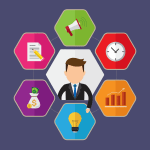 Summarize the responsibilities of each role or their expected contribution to the sales process. Next, list the names of the individual team members and their personal key performance indicators (KPIs). This step benefits the team by providing clear expectations for performance and details how they will be held accountable. In addition to the team’s direct sales activities, you should also list indirect sales responsibilities. Some examples of indirect sales responsibilities include website enablement, running lead acquisition campaigns, and developing sales collateral. A sales plan cannot help you achieve your sales objectives if the plan costs more than your business is expected to gain. By itemizing expected costs, you will be better able to measure the anticipated return on your investment. 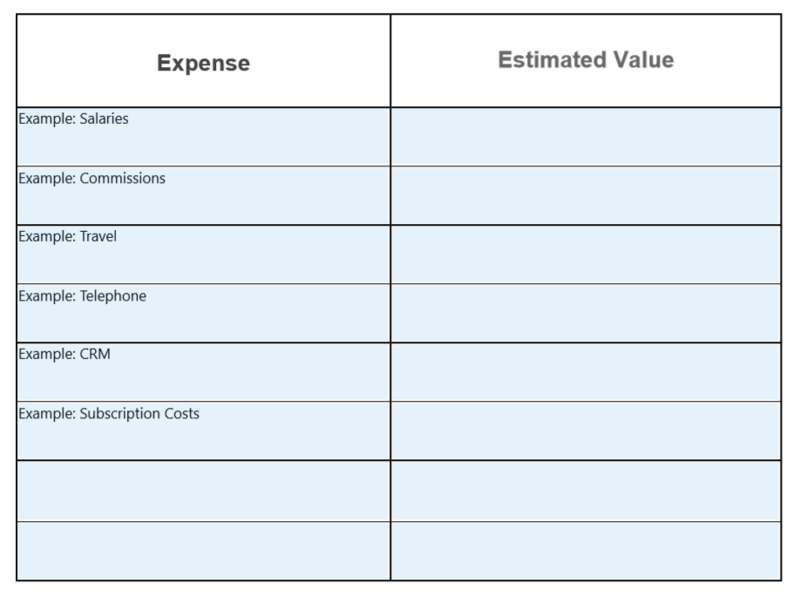 Not all expenses are recurring, which is why it is also a good idea to break your budget out into one-time expenditures as well as ongoing costs. Some examples of the major budget items to include are sales team salaries, commissions, and service subscription costs like CRM, LinkedIn, and video conferencing (which are listed as examples in the sales plan template). You should also include additional costs like the purchase of prospect lists, travel expenses, and telephone or other equipment expenses (which are also listed). Once you have defined your budget, set a schedule to periodically revisit it for accuracy. A CRM lets you manage sales activity in real-time, measure performance, access information quickly, and may allow you to make updates even when you are away from the office. If the ability to access data in real-time isn’t enough, some CRMs allow you to structure your sales pipeline into meaningful stages and measure every aspect of your plan as you implement it, without needing to create additional sales reports. With these built-in reports, a sales manager can quickly and easily identify their top performers as well as gauge conversion rates and reasons why sales opportunities are lost. 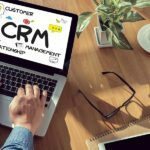 Additionally, many CRM tools are designed to be easy to use without requiring any technical skills. If price is a concern, we have written an article on some of the best free CRM tools that businesses can utilize, making a CRM a good solution for managing your sales plan within any budget. A business may serve more than one market or sell products that vary by territory. For this reason, your business may be better served by the creation of several more detailed sales plans, each with a narrow focus and which work together to support larger company sales objectives. This is the main type of sales plan and sets the standard for sales objectives and sales strategies across the organization. In addition to objectives, the strategic plan also outlines the roles, responsibilities, performance measurements, tasks, and approved tools needed to achieve those objectives. Our template in this article is a strategic sales plan. A territory sales plan is a more narrowly-defined version of the strategic sales plan, and is limited to strategies, tactics, and tools used within a specific customer base, group of prospects, or market segment. A territory sales plan may include exceptions to the strategic sales plan, such as additional systems, tools, or roles required to better serve a specified market. A tactical sales plan supports a strategic sales plan by focusing on a distinct area of the organization. For example, an inside sales manager may choose to create a miniaturized version of the corporate sales plan that goes into greater detail into the tactics and metrics that will be used specifically by his or her team. An operational sales plan supplements a strategic sales plan by defining the organization’s policies and procedures as they relate to the sales team in minute detail. An operational sales plan might, for example, specify how credit card orders are to be processed or outline minimum order requirements. A contingency sales plan supports the strategic plan by defining how the organization might continue sales-related activities in the case of circumstances like the sudden loss of key personnel, a major change in credit arrangements, or natural disaster. Contingency plans should include strategies for accessing data and records, alternative means of communication, and policies related to mismanagement, public safety threats, and product liability. A sales plan benefits a sales organization by creating a path to revenue growth, promoting a culture of discipline, and ensuring that team members are focused on achieving business goals. However, it also helps teams continuously improve by creating a system designed around learning from past performance while establishing key indicators of future success. “We wanted to ensure that the entire team knew what our strategic objectives were so that they 1) understood how their work fit into the company’s long-term plans, and 2) had a context through which they could better understand the decisions the executive team make. Interestingly, while we did not change what we do as a business, it was helpful (and interesting) to hear how other team members viewed what we did and what we should be doing. Sales works best when experienced professionals are given the freedom to perform day-to-day activities or adjust messaging based on their personal style. However, without some structure, critical tasks and deadlines can be forgotten. There is also an increased risk of larger problems, such as cash flow issues. A sales plan mitigates these risks by ensuring everyone on the team knows what tasks are required, when they are due, and how they will be held accountable. Without a plan, it’s likely that each member of the sales team will have a slightly different idea of what you are aiming to achieve, how you are going to go about achieving it, and what success will look like. Consulting with everyone who will be involved with the plan helps to ensure their buy-in and commitment to delivering it. It also allows other teams like marketing, for instance, to understand what sales is trying to achieve so that they can properly align their priorities with those of the sales team and support the achievement of objectives. One of the best ways to improve sales is to reflect on your own past performance and use this to help improve your future processes and drive increased sales and profits. 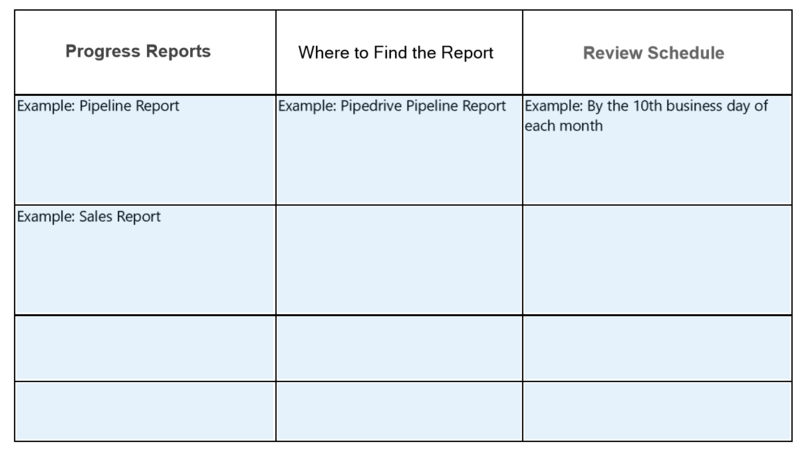 While you could do this without a formalized review, adopting a sales plan will make it much easier to measure and analyze past performance so that you identify areas for improvement. For more tips, read our article on Ways to Improve Your Sales Performance. An essential aspect of any good sales plan is not only what you set out to achieve and the sales strategies and tactics that you deploy, but also the way that you will measure and manage your sales progress. Breaking progress down into milestones and activities allows an experienced sales manager to identify when the business is underachieving, diagnose accurately what is causing issues, and take action early to resolve problems. While a sales plan offers several potential benefits, the creation of a strategic plan takes time away from sales activities. Therefore, you will want to make sure your plan doesn’t become just another document in your filing cabinet. To do this, make sure your sales plan is built around measurable metrics, treated as a living document, and is simple to understand. Good salespeople want to be measured because it demonstrates how hard they work and how good they are at their job. On the other hand, without clear and quantifiable metrics, poor performance is more difficult to correct, making sales people less accountable. Therefore, your ability to manage your team effectively, which maximizes the plan’s overall chance for success, depends on adopting metrics that can be objectively measured. For instance, if you hire a pre-sales executive to help with first contact cold calling and follow-up, but you have no way of measuring how many calls they make each day, how are you going to manage this person? The simple answer is that you will not be managing them—they will be managing themselves. Instead, you need to implement some kind of measurement. This could be the number of calls they make each day, or how many appointments they secure, or both. Once your plan has been established, it should become the tool that guides your sales team on a week-to-week basis. Your plan also needs to be built into your sales operations so that you have all the checks and balances and reporting mechanisms on hand to help you to execute your plan efficiently and effectively. This is true whether you are a one-person business managing yourself or running a sales team of 20 people. We have written an article on Sales Leadership, which includes many tips you can use to maximize your team as well as your plan’s potential. The sales plan for a small business should be as simple as possible without leaving out any of the essential elements. Typically, I would not expect it to be any longer than six pages. The reason for this is that there are lots of things that you could include, but if you apply the 80/20 rule, there are only so many things that you should include. The principle of this rule is that 20% of your activity achieves 80% of your outputs. So make your plan about the key 20% that drives 80% of your performance, and the rest should naturally follow. Anyone who is involved in executing the sales plan should have a voice in helping to create it. This ensures that the team responsible for performing the tactics defined in the document are realistic and have their buy-in. However, this does not mean that you necessarily want to get other people to draft it from scratch, as that can lead to a loss of control and focus. 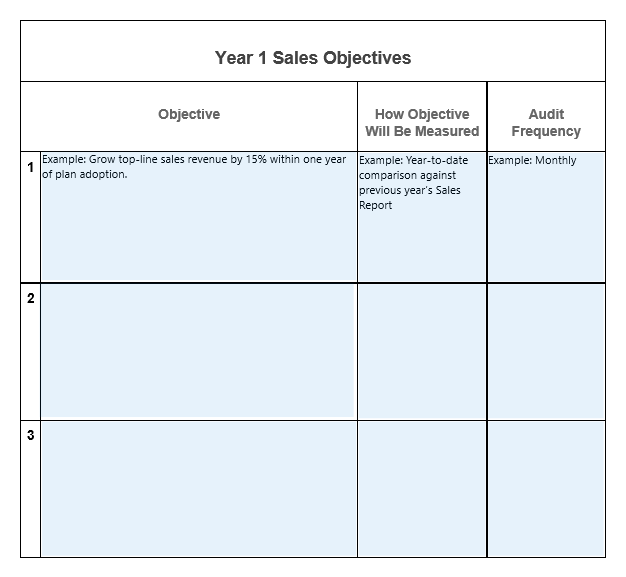 Starting with a sales plan template like the one in this article gives a solid starting point. I recommend the business owner or sales leadership team set the objectives first. Then, once growth goals are clearly defined and the company vision set, the process should expand to include other salespeople, marketing folks, and maybe an external consultant or agency. These other voices help generate fresh ideas and should challenge thinking with regards to strategy and tactics, and help to establish realistic performance measurements. What Is a Sales Plan? A sales plan is a formal document that outlines a business’ mission, goals, and general strategy for growing revenue. This document should be regularly reviewed and adjusted based on current marketing conditions and any changes in a business model. 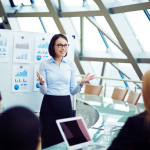 How Is a Sales Plan Different from a Sales Management Plan? A sales management plan is an internal-facing strategic document that defines how sales teams will be recruited, trained, managed, and compensated. Additionally, this plan outlines how revenue generated from the execution of the sales plan will be reinvested into the company through staff development, training, or other managerial tools. How Is a Sales Plan Different from a Marketing Plan? A marketing plan is similar to a sales plan in that it is a strategic document outlining business strategies and tactics. However, its focus is on advertising and marketing efforts, or the activities that fill the top of the sales pipeline, rather than the activities that grow revenue. What Is the Best Sales Strategy? The number one sales strategy is to provide a value that the customer can understand. This means articulating a clear benefit that addresses their specific pain points. How Can You Increase Sales? You can increase sales by better targeting customers through careful examination of the market, selling with a clear, defined message, and by prioritizing your efforts to focus on the opportunities with the highest chance for success. A sales plan is an essential tool for startups and small businesses. While this sometimes gets merged into the overall business plan, it makes much more sense to break out your sales plan as a separate document. Sales revenue is the lifeblood of any small business and, as a result, requires its own focus. 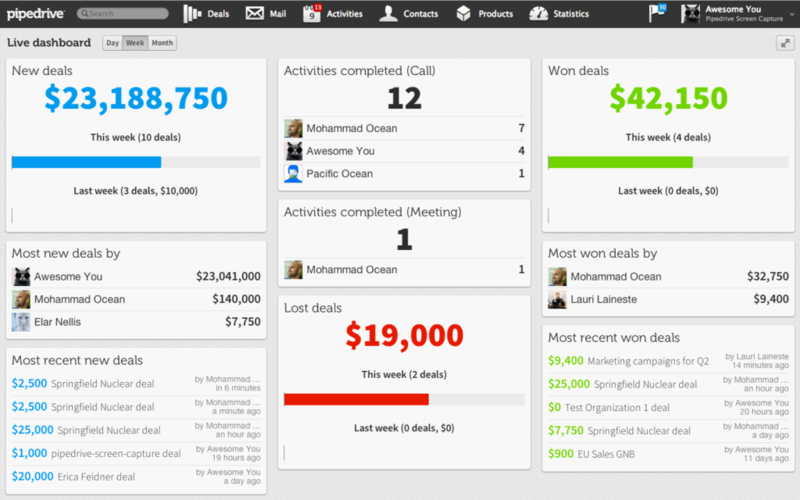 Once written, your sales plan can be put into practice using a CRM tool like Pipedrive. Pipedrive makes it easy for you to measure and manage your progress against your sales objectives and bring your sales plan to life. Click here for a free 14-day trial. Sheena Jones is a Fit Small Business Sales Writer with over 20 years of combined experience in both sales and marketing. She is a creative person who loves art, technology, fitness and entrepreneurship. In addition to writing, she also has a passion for teaching, having shared her knowledge in graduate and undergraduate courses. Really to the point article for people are creating a sales plan. Excellent Content ! Thank you so much. Get the Sales Plan Template! Our free template is broken out into 7 standard sections to help you clearly establish objectives & develop the strategies to achieve them.